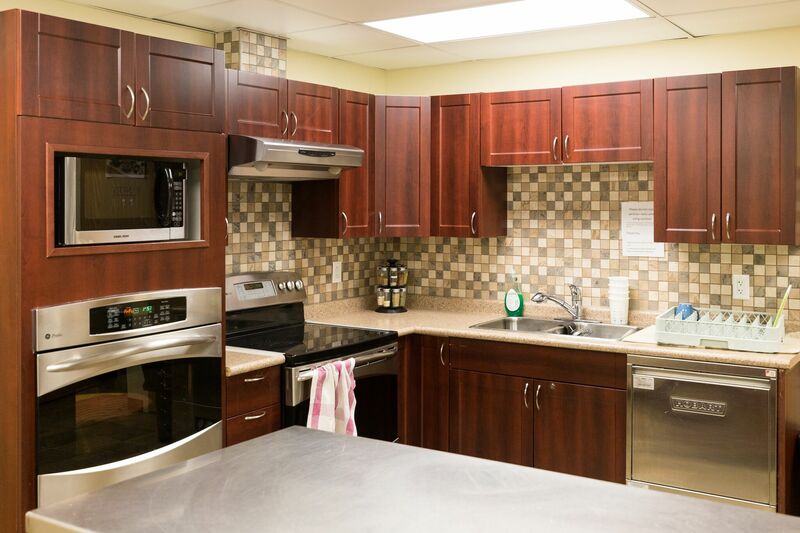 The 2nd Floor Women’s Recovery Centre is a live-in addiction recovery centre exclusively for women. Priority is given to women who are pregnant, or at risk of getting pregnant. You do not have to be pregnant to attend the 2nd Floor. 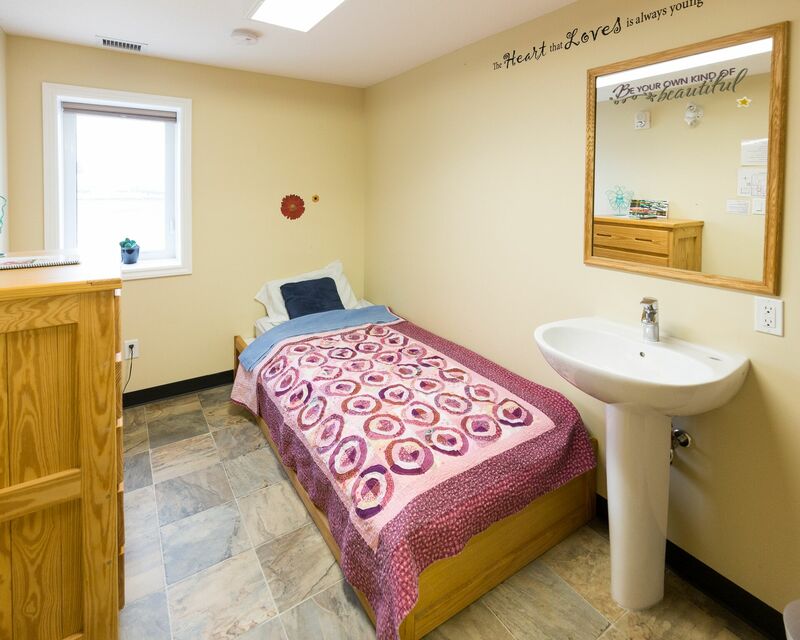 This 9 bed facility in Cold Lake, Alberta focuses on supporting women with problematic substance use in order to help them develop healthy lifestyles and have healthy children in the future. We work to create individual treatment plans for every woman, taking account each client’s unique circumstances, followed by an aftercare plan that builds a support network to assist her in her recovery journey. 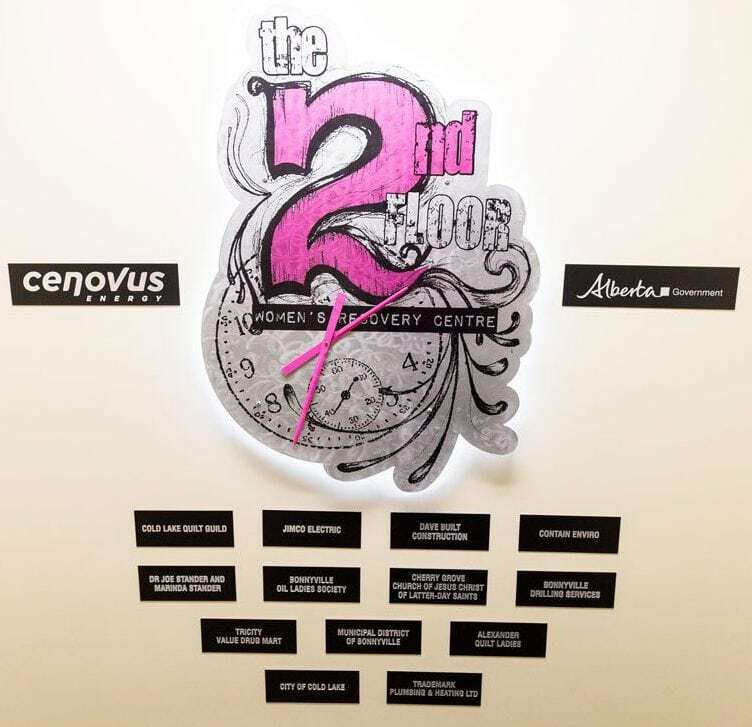 Do you want to know what to expect at the 2nd Floor? Our Client Handbook has all the information that you need. 1 : Where are you? 2 : What do you do? We are a 9-bed live-in addiction recovery facility for self-identified women. We offer individual programming to pregnant women or women at risk of getting pregnant. 3 : How do I make a referral? 4 : Can women detox at the 2nd Floor? Due to the complications in detoxification, especially during pregnancy, we are unable to provide detox at the 2nd Floor. Pregnant clients are required attend a 5-7 day, medically supervised detox. Non-pregnant clients who are unable to remain sober prior to their intake date will be advised to attend a 5-7 day medically supervised detox. 5 : Can the initial interview be done on the phone or does the client need to come to the 2nd Floor? Yes, the initial interview can be done on the phone with the client and the referral agency. The client will need to be physically present at the 2nd Floor for the Formal Intake. 6 : Who do you aim to serve? We accept women with substance use issues aged 15+. We accept women who are not pregnant in their child bearing years, but at high risk of drug or alcohol affected pregnancies. 7 : How long can clients stay? The minimum stay is 28 days, however, all women are accepted for a 42 day program. Pregnant clients can stay until approximately 1 month before their baby is born. Women are welcome to come at any time during their pregnancy- the earlier the better. Discharge dates are based on each woman’s Individual Recovery Plan. 8 : What does it cost? Daily fees are $40.00 per day. For women paying for themselves: they will be required to pay the Fee Schedule at the beginning of the month. If a Self-Pay user self-discharges before month’s end, fees are non-refundable. If a Self-Pay user is scheduled to be discharged before month’s end, the Fee Schedule will be reduced accordingly. Fees may be paid by cash, certified cheque or E-Transfer. 9 : What kind of programming do you have? Our programming is based in an IRP, Individual Recovery Plan that is holistic, relationship based and harm reduction focused. other components as required by the Client. 10 : What kind of treatment is available? Each woman will have individual counselling with our experienced Addictions Counsellor. There is also access to group counselling, informal group sessions, peer facilitated self-help groups and other treatment options. Each Individual Recovery Plan will be set up to meet the needs and abilities of each woman. 11 : What is the After Care Plan? After Care planning begins during the first week of each woman’s stay and is a transition plan to assist each woman to return to her community or community of her choice. Each woman will be assisted in building a network of supports- contacting them and beginning to form relationships that will support clients when they leave the 2nd Floor. 12 : Is it a secure facility? Yes. No one can enter the facility without permission. 13 : Can women bring their children? We are unable to accommodate children in our facility. The 2nd Floor works with women and their support services to arrange supervised visits with their children. 14 : Are the women allowed to be in contact with their families/friends? Women will be able to send and accept mail at the 2nd Floor. Women will have access to a phone as stated in their IRP. Contact and healthy communication will be encouraged during recovery in order to strengthen relationships with children, spouses, extended family, etc. 15 : Will there be personal property searches? Yes, personal property will be searched upon admission. There will be random room searches when contraband is suspected, and/or upon return from outside the centre. 16 : Will women be kicked out of the program for AWOLs or if in possession of contraband? If a woman AWOLs, she may be required to attend a medical examination. AWOL, contraband, or other “rule breaking” behaviour will be treated on an individual basis. If a client and program staff decide to continue her stay at the 2nd Floor, her IRP will be tailored to better suit her needs. 17 : Can you take women on methadone maintenance or marijuana maintenance programs? What about other medication? Yes, we are able to accept women on methadone maintenance and Suboxone. Marijuana maintenance programs will be addressed on a case-by-case basis. Women taking prescriptions for anti-psychotic medications will need to continue taking their medication to be accepted to our program. 18 : Are women allowed to smoke there? Women will be allowed scheduled smoke breaks in an outside smoking area and with a staff member present. 19 : Is there a doctor in the centre? Clients have access to an in-house Nurse who will address any health concerns you may have. Clients will have access to healthcare professionals in the community as needed. 20 : Is there 24 hour staffing? The 2nd Floor will be staffed at all times. There will be double staffing when there are more than 3 residents and/or when required.